Do you wonder what triggers transformation? Why do some people catch fire while others never ignite? Have you felt the spark? I am sure you have. You know what I’m talking about. You wake up and suddenly it seems that everything goes your way. You feel like you can lock in freelance success. Then something happens and everything goes wrong. You have been there. You were ready to rock and then you get busy, tired, or anxious only to end up farther behind at the end of the day than where you started. Are you tired of losing that spark? What if you could catch fire, whenever you wanted, on command? Do you want to outperform your wildest expectations and secure freelance success? It is possible. I did. I secured freelance success with the help of firestarter Danny Marguiles. Firestarter: A friend or coach or mentor whose experience guides you to transform your spark to ignite your life. Danny Marguiles was my firestarter. I contacted Danny when I started Upwork. Why? I was stuck. I couldn’t crack the code. You ever been there? You ever been stuck, unable to find the way forward, or just plain frustrated? You need someone to ignite your spark. That is how I got started. You see no one hired me. Everything I tried was right but nothing clicked. Clients showed interest but didn’t book, contracts went to other freelancers and the money I made wasn’t much. I wanted to give up. I’m glad I didn’t. On Upwork alone I have had multiple five figure years, increased my skills, achieved freelance success, grew my client base, and expanded into bigger markets with better clients. How did I manage it? I signed on for a coaching call with Danny. To catch fire you must apply laser focus to your spark. My trouble on Upwork came from me having the spark but not the focus. Danny helped me find my focus. Finding focus is how you catch fire. Great Firestarters know where to focus. Example:With Upwork I was focused on responding to what a client posted instead of what they needed. When I changed my focus to delivering results they needed my income transformed. Working with a coach helps you see where things are going right and where they are going wrong. Learning where to direct your attention can unlock your results. Firestarters light your spark through teaching you to focus your attention on where it needs to be. Danny helped me find my focus. It took Danny no time at all to zero in on what was keeping me from succeeding. He shared ways for me how to fix it and right away I saw results. The next day I raised my rates to $95/hr and booked a $3800 contract. Do you want results like that? It was that simple. Do you want to catch fire, achieve freelance success, and breakthrough what is holding you back? You need a coach. There are two ways to achieve success. One, you work hard, stumble, learn from your mistakes and keep going until months or years later you start to see a little payoff. Two, you spark a blaze, become a freelance success, and replace your income by tapping years of experience and in the field training with a coach. You want to catch fire? Let me help. 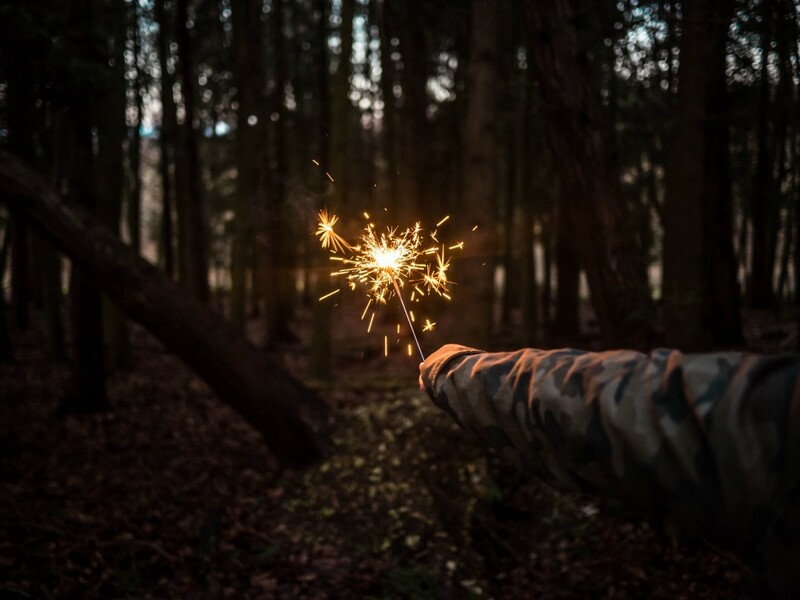 You interested in igniting your spark, getting the competitive advantage, achieving freelance success, and breaking through to a future-that up till now you only dreamed of? I have been running a private coaching group. I wanted to transform people’s success, spark their blaze and help them achieve success. It worked! One student booked a $19,000, year long, contract through our coaching and written review sessions! Want these results? Want to book five figure contracts, break through your barrier, and replace your income? Firestarters is my coaching group. Who is this group for? This group is for the person looking to take the next step, who wants to break through to the next level, and is ready to take action and achieve their goals. I’m inviting you to try it out for free. That’s right, free. If you are a member of my Freelancer’s Insider List or Success Academy you get a free 15 minute consultation. Here is the catch. Session slots are limited as are the slots for applicants to the full program. We know not everyone wants to catch fire. Most people are happy to stay the same. Or worse, the results that people look for aren’t transformational. -Firestarters is for the people looking to transform. You want to light the spark, ignite the blaze and catch fire? Send me a message through email and we can set up your 20 minute breakout session. I look forward to helping you ignite your spark! To contact me join my Firestarter’s Freelance Insider List. Once you’ve joined email me to secure your slot. Originally published at livegoldrich.com on March 16, 2017.